The Copa Podio of Jiu-Jitsu is a professional tournament that gathers fighters specially invited to this event. The 5th season of Copa Podio set for August 12 at the Amadeu Teixeira Arena, in the central-western district of Manaus, Brazil. 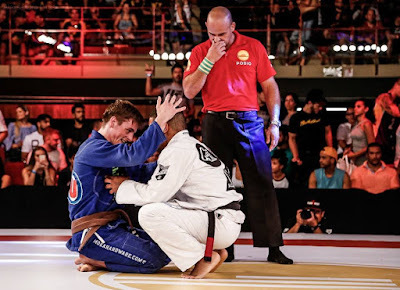 Copa Pódio was one of the pioneering professional jiu jitsu promotions to emerge, one that raised the profile of grapplers such as Leandro Lo, Joao Gabriel Rocha, Tim Spriggs, Rodolfo Vieira, Victor Honório, Travis Stevens, Felipe Preguica and many others. Going strong for the past 5 years, the Brazilian based organization is set to produce its 2017 middleweight champion (88 kilogram / 194 pounds). This 2017 middleweight platoon being the most heterogeneous list to date, with grapplers ranging from lightweights to super heavyweights (who can make the weight cut thanks to weigh-ins being the day before) and competitors with very distant levels of experience. Another key element of the event will be the teams challenge, another popular segment of Copa Podio, which will match athletes from two rival Brazilian states: Mato Grosso (Pantaneiros) vs Amazonas (Caboclos). This duel between neighbors has laid the ground for a historical match between Xande Ribeiro and Roberto Cyborg – two legends of our sport.